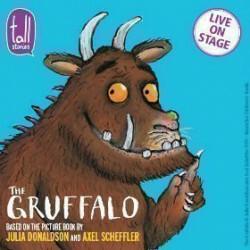 Tall Stories' magical, musical stage adaptation of The Gruffalo joins The Snowman and Peppa Pig's Surprise in the West End this Christmas, all brilliant family fun. Head for the splendid Lyric Theatre for a monster time, starring little Mouse and involving the classic kids' adventure. 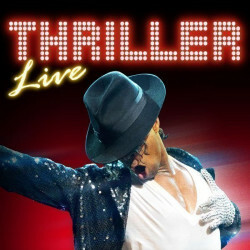 If you love Michael Jackson’s music you’ll adore this smash hit West End show. 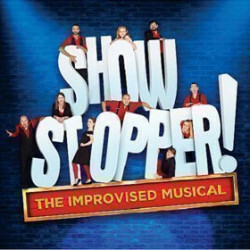 It’s a veritable feast for the eyes, ears and emotions with breath-taking choreography in true Jackson style and a musical roll of honour including thirty five of his greatest dance, disco, soul, Motown and indie chart toppers. The wonderfully fancy red brick exterior of the Lyric Theatre gives way to a spectacular horseshoe shaped interior with deep scarlet soft furnishings and a stunning decorated ceiling. It’s the oldest theatre on Shaftesbury Avenue, built in 1888, and the much older Windmill Street façade dates right back to 1766. The Lyric Theatre was designed by C. J. Phipps and built by the famous producer Henry Leslie, on the back of the profit from the smash hit musical, Dorothy. The new theatre first opened its doors in late 1888 and is the oldest theatre on Shaftesbury Avenue. The magnificent foyer and the bars were given a facelift in 1932 and ’33 and the glorious facade was restored in 1994. Despite its renovation, there’s an amazing old-fashioned electric pump that is still used to operate the theatre’s historic iron curtain! The Lyric Theatre was actually built around an existing dwelling, dating back to 1766 and the former home of Sir William Hunter, who housed a museum there. Grade 2 listed in 1960, early on the Lyric was famed for comic operas, before becoming a haven for light comedies, musicals and straight dramas. Unlike many West End theatres, which have suffered lean times over the years, the Lyric’s top shows, by respected playwrights like George Bernard Shaw, Eugene O’Neill and J.B. Priestley, kept the place alight through good times and bad. This is theatreland – take care not to confuse the Lyric Theatre with the Lyric Hammersmith. And make sure you don’t end up in the Apollo Theatre, right next door! Today the Lyric is owned by Nimax Theatres. The Lyric Theatre has a poignant wartime ghost story to tell. Hit by a bomb in World War One, it’s apparently haunted by the usherette who died in the blast. Showing an illustrious collection of entertainments right from the beginning, the Lyric Theatre’s earliest shows included the 1888 opening production, the comic opera Dorothy. 1892 brought The Mountebanks, a comic opera by W S Gilbert of Gilbert and Sullivan fame. In 1893 Eleanora Duse played in La Dame aux Camellias and Sarah Bernhardt played in Frou-Frou, Phèdre, Julie and La Tosca in 1898. Since the early days the Lyric Theatre has seen any number of smash hit shows, including the first production of the Blood Brothers in 1983. The Lyric hosted the only West End production of Gigi, there was a massive five year run of Five Guys Named Moe in the ‘90s and the all-time favourite musical Cabaret enjoyed its third big revival at the Lyric too. 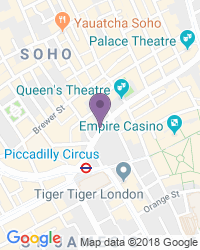 If you use a wheelchair or scooter you can get into the Lyric via the side exit on Shaftesbury Avenue. Just let someone know at the main entrance and they’ll open the doors for you. We’re your top destination for a wide variety of seat types and prices, with excellent availability on the full range of Lyric Theatre tickets.